My name is Isaac, and I listen to 365 new albums every year, while each album gets a full listen, only a handful of albums truly grab my attention. This is a self imposed journey that goes beyond genre and attempts to care, appreciate and catalog whats happening in modern music…. As 2019 stokes it’s music release embers, I would like to reflect on my favorite Album of 2018. A Powerful voice in modern pop with a rich background in the hip-hop community. 33 year old Janelle dreamed of being a singer and performer from a young age, and has sighted Dorthy from the Wizard of Oz as being a major musical influence. Born in Kansas City, Kansas, and relocating to Atlanta, Georgia in 2001, she began her career in 2003 after meeting Outkast’s Big Boi and co-founded Wondaland Art’s Society. In 2004 Janelle Monáe met Sean Comes who along with Big Boi, would become executive producers for each of her albums. The same year she would be featured in 2 of Outkast’s final album/film project Idlewild. She would go on to release an EP 2007 Metropolis: Suite I, and two LP’s The Archandroid, and The Electric Lady, 2010 and 2013 respectively. 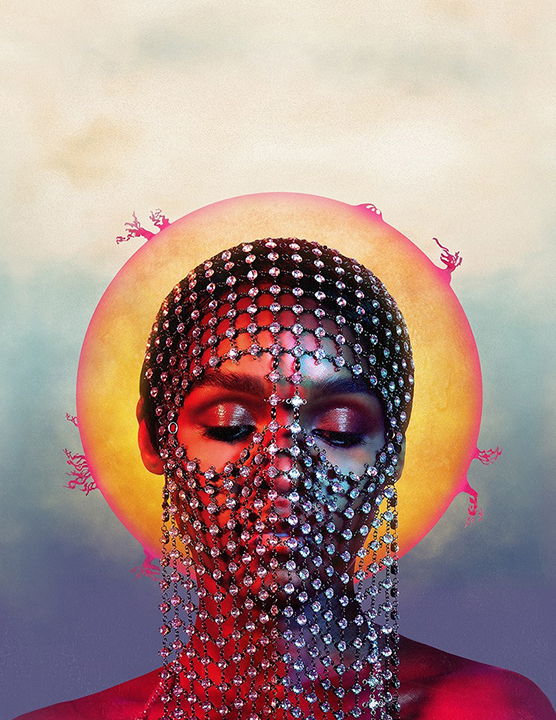 Each of Janelle Monáe albums are Soul, Pop, Psychedelic, Alternative R&B and each paint their own science fiction narrative interconnecting themes, characters, concepts, that are intriguing and conceptually brilliant. Janelle has also has been fairly successful in the movie business staring in Moonlight, Hidden Figures, and Welcome to Marwen. Dirty Computer takes a more traditional approach to pop music, while still encompassing her concepts, and narrative. This album is a fun psychedelic soul pop masterpiece with a sprinkle of the hip-hop. Dirty Computer is hopeful, joyous, and feel good but addresses current issues with tongue and cheek wordsmithery. The album opens with a quasi-overture featuring Brian Wilson from the beach boys. Track 2 is a fun carefree track, “Young, black, wild, and free” sets the tone, and greatly stresses her “Crazy, Classic, Life”. The next song “Take a Byte” has a more serious tone, drawing parallels between sexuality and computing. We are taken into a dreamscape instrumental pallet cleanser ironically titled “Jane’s Dream”. “Screwed” takes us to a hopeful place where all the world’s problems can simply be screwed away featuring Zoe Kravits. The next song “Django Jane” is the point in the album where it becomes brilliant. This is a song of serious statement carried forth in the form of rap bars, of which contend with the some of the most intricate and vocabulary driven rappers. “Pynk” is the following track that comes in the form of a dance worthy semi-protest song featuring the artist Grimes. “Make Me Feel” may seem that Janelle in channeling her inner-Prince, well the truth and interesting fact is that The Artist Formerly Known As laid down the guitar track and had planned to be featured in the song, but died first. The next cut “Juice” another dance-able pop track with clever tongue in cheek lyrics, featuring N.E.R.D.’s Pharell Williams. “I Like That” is a pop anthem that conveys a message of positivity and self-love. “Don’t Judge Me” is a psychedelic six minute journey that brings us down from all the dancing and fun from earlier, and ready for conclusion. Followed by “Stevie’s Dream” a short instrumental track. “So Afraid” and “Americans” are the two most serious tracks, the sarcasm and tongue and cheek cleverness about the album seems to fade away on these two tracks and the teeth of the album bares sharp. I can’t stress the importance that this album has had on me as a listener. I have listened to this album over 100 times in 2018, and what moves me most is the feel of this album. Dirty Computer does a rare thing in current media, it acknowledges the modern crumble, yet takes a hopeful approach and manages to promote a positive message. I have danced, cried, and covered myself in goosebumps while studying this album, a first for me regarding a pop album. There is a story told within the album, that can be enjoyed fully when accompanied by the visual for the album. This album has been nominated for more awards than can fit on this page. Dirty Computer Vinyl album comes standard with a gate fold and traditional album art and a black vinyl, or a special edition can be purchased from her website that contains a holographic cover and a yellow vinyl. Disclaimer: there are some adult themes and explicit lyrics throughout the album. Before delving into the feeling of the album Let’s go through a bit of background as to what makes this project so special. Mike Lindsay, a co-founding member, composer and producer of the acid folk band Tunng. As well as a mercury prize winner for his work on the 2009 rap album Speech Therapy by Speech Debelle. Mike has built quite a reputation and following in the UK folk scene, he is well known for making an ordinary track pop with psychedelia. Laura Marling started her career at the age of 16 in UK's underground Nu-folk scene, joining Noah and the whale for their first album Peaceful, the World Lays Me Down, as part of the original line up. Leaving the band due to break up with Lead singer Charlie Fink. Laura's solo career began in 2008 with her debut album Alas, I Cannot Swim; I Speak Because I Can. Since her debut she has released 5 well reviewed LP's and has accumulated a list of awards and nominations in the underground and mainstream music communities. The result is Lump, a slow burn acid folktronic album that is speckled with beauty and melancholia. I find it the perfect music to play at night, as the drone folk melodies paint a dreamscape of postmodern discontent. The lyrics bring us further into the abstract of the album with lyrics like "paint dots on your wrist to see me in your dreams" referencing lucid dreaming where the one paints dots on their wrists to distinguish subconscious from reality. I find the album a satisfying flow as we begin with ambiance that drifts into a powerful baseline building to a 7 minute album opener. Flowing to the next few tracks that bring us into an electric folk night dance. Laura words her struggles and demands of being famous with boredom in California and the unnerving "Curse of the Contemporary". Ending on a closing track that feels like guided meditation as Laura quietly reads the album credits to a background of ambiance. at 32 minutes I find Lump a digestible album that rewards the patient listener. The vinyl record comes with some cool art and a transparent green 180g vinyl. Key tracks: Late to the Flight, Cure of the contemporary.